Hypothyroidism means " Insufficient secretion of thyroid hormones ( T3 and T4 ) by thyroid gland. b) Hypothalamic lesions that reduce thyrotropin releasing hormone (TRH) secretion.. TRH stimulates pituitary to secrete TSH. There are three types of hypothyroidism. In primary hypothyroidism, problems lies in thyroid gland itself. This type of hypothyroidism occurs due to deficient secretion TSH from the pituitary. problem lies in pituitary gland. Hypothyroidism due to insufficient secretion of TRH from the hypothalamus is refered to as tertiary hypothyroidism. TRH stimulates TSH secretion by pituitary which in turn stimulates thyroid gland to secrete T3 and T4. Deficiency of TRH will ultimately affects the thyroid secretions. Hypothyroidism is presented clinically in two forms. 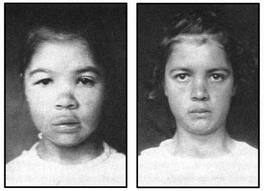 Hypothyroidism which develops in infancy or early childhood is referred as cretinism. Hypothyroidism developing in older chlid or an adult is referred as Myxedema. My doctor diagnosed my with hypothyroidism and told me that i already had it from sometime now but failed to notice it until now. Fortunately i found out about natural thyroid supplements . I've taking it for a year now and so far none of my symptoms has ever popped out again. However, you do not have to worry, as there are numerous natural thyroid supplements available in the market today to get rid of these problems. Desiccated porcine thyroid is a product, which is earning a lot of popularity in the market these days for proving numerous benefits for the individuals who are facing thyroid related problems. I was doing about an hour of exercise for 6 days a week, as well as eating right. Working out I lost about 10 pounds, but I was unable to lose the extra 15 pounds. After taking the natural thyroid supplements I dropped 10 pounds in 2 weeks.